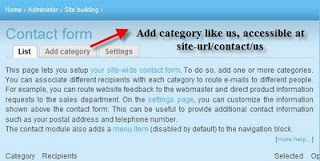 With Contact Forms module installed you can create multiple categories of contact forms and on top of it you can also send the subject for the contact e-mail as a URL parameter which opens up new possibilities in contact. 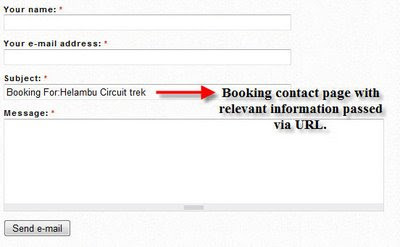 I’ll show one usage I did using this module with a contact for booking. Download the module here, and install it to your Drupal site. 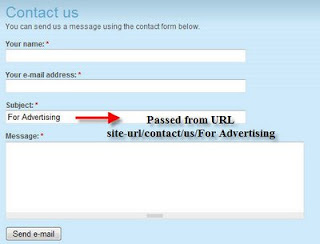 Then you can access the contact form at site-url/contact/us. Make other categories as per need and use them accordingly. 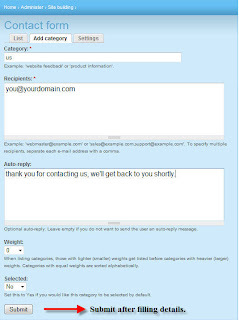 Like you can make different contact forms for marketing, contact, webmaster etc. Now lets use a contact form called booking for booking trips/hotels or anything. Main thing is the node title should be passed via the URL and some text + Node title should appear in the subject. For ex: subject should be like Booking For: ABC hotel where ABC hotel is the node title. You have done it congrats. 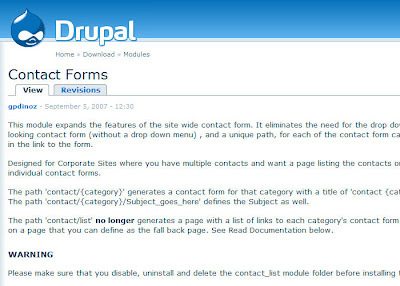 Have fun using this methods to organize your contact forms in Drupal site in a better manner. Hope you benefit from it. Drupal will change the world :-), keep Drupalling..